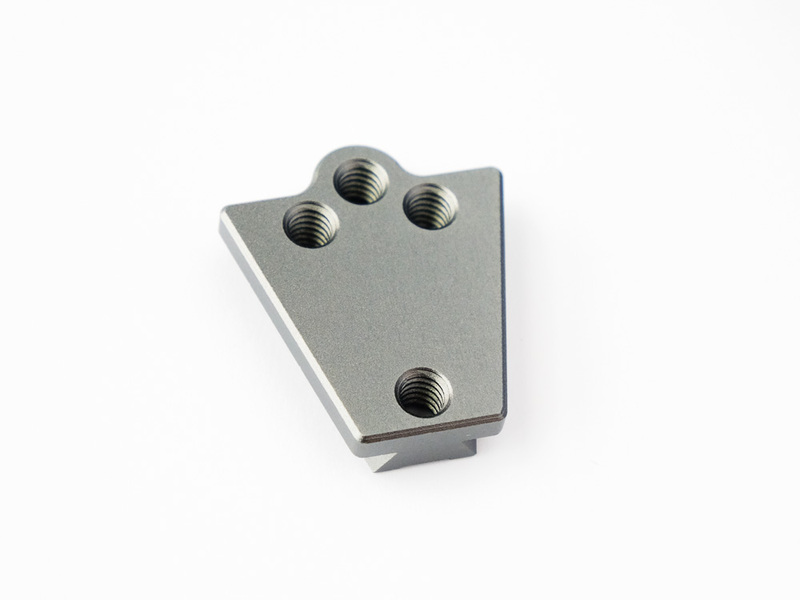 This V-Lock Wedge adapter is specifically designed to pair with the MDR Cheeseplate in order to click your Preston MDR into any standard V-Lock mount such as the Element Technica or Wooden Camera V-Dock, or the V-Lock camera mounts that are standard accessories on Alexa and Amira cameras from Sim Digital and other rental houses. 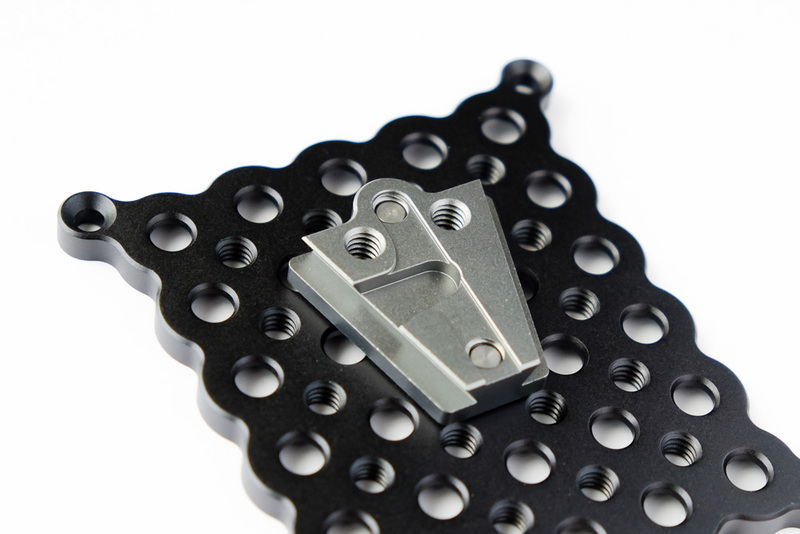 You can take advantage of the flexibility of mounting locations on the MDR Cheeseplate, unlike other V-Lock brackets that exist for the MDR with only a centered position. 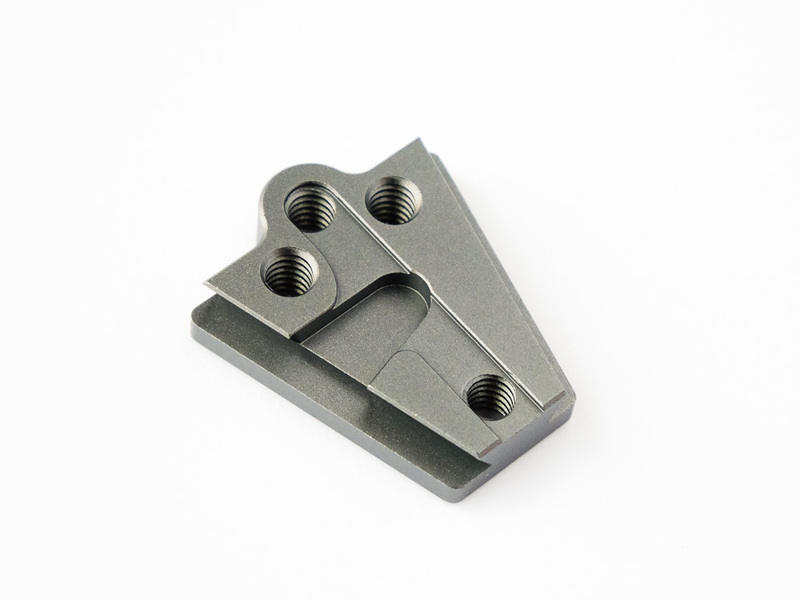 The V-Lock Wedge adapter is machined from durable 6061 aluminum and anodized grey, and guaranteed to tight tolerances without wiggle. The two vertical threaded 1/4-20 holes are spaced 30mm apart and the two horizontal holes are spaced 15mm apart. 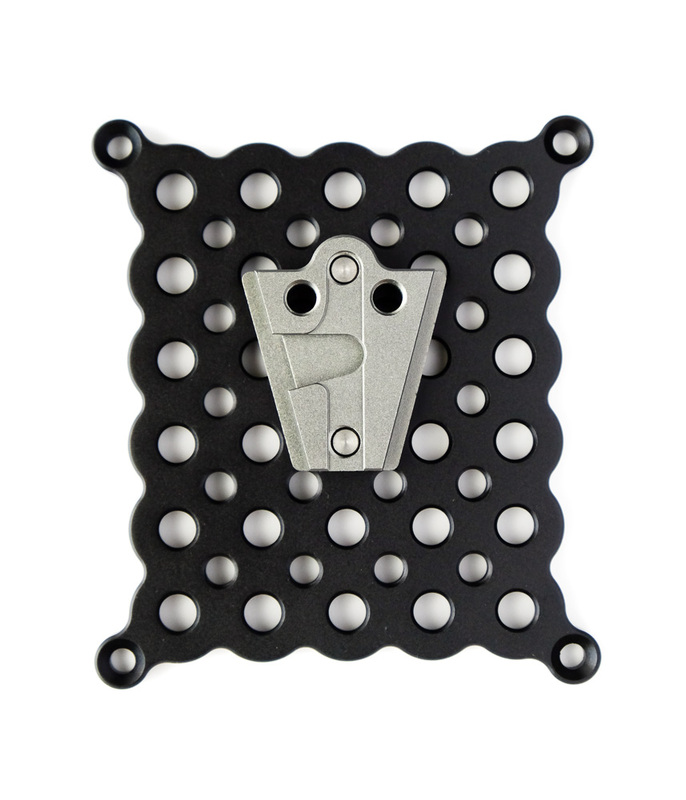 Two 1/4-20 flat screws are included that are compatible with the MDR Cheeseplate.